So excited to welcome Sheena Snow to my blog. She is the author of Sparked. Each writer has their own rituals – some listen to music while others drink coffee. What do you do to bring on your muse? Sparked is Young Adult Light Science Fiction. What is it about Sci-Fi that captures your imagination? I just love going places and reading about places that we normally wouldn’t be able to experience. It’s like my mind wants to go so much farther and do so much more than we are currently capable of doing. When it came to Sparked, what/who showed up first? The idea for the story or the characters? A little bit of both I think. I had a dream about human-looking robot chasing me through a bookstore and he wanted to protect me but at the cost of becoming his girlfriend. I was like creeper! As the dream continued, I was continually attacked by others. Soon, I realized I didn’t really have any other choice but to take him up on his offer. So I did. And he protected me and turned out to be a nice guy-robot-human person thing. And then I woke up. Vienna Avery is the main character. Is she the type of girl who loves shopping at the mall or would white water rafting be more her thing? She is actually a little bit of both. She loves shopping, but wouldn’t go more than twice a month. And she loves adventure and to experience life with her friends and cousin but wouldn’t go white water rafting every week either. I think she’s a pretty good balance both. Thinking about the cast of characters from Sparked: If one of the supporting characters could step off the page and join you for lunch, which would you choose and why? It would have to be Alec, the human-looking-robot. I’m pretty sure I fell in love with him writing the book. Physically, he’s toned but not overly toned. He’s tall but not too tall. And he wants to be a better person, do the right thing, and be what he feels like he can never be, human. He’s lost and looking to find his path in the world that he’s been created in and little does he know that’s exactly what makes him human and what makes him so attractive emotionally. Are you currently working on another novel? If so, when might we expect the new release? Yes. I am working on book 2 and I am so excited about it. I anticipate it coming out late next year. I plan to take everything even further into the world building and give answers to everything that was left open in book 1 J It’s going to be awesome! Writers tend to spend a lot of time alone. When it comes to socializing, do you prefer a small group of close friends or large and rowdy party? A small group of friends. And even then I really can’t handle the company for more than 5 hours. My body starts to shake and I just remind myself that I can leave whenever I want, I’m in a safe place, and everything is going to be okay. Everyone has different levels of anxiety and mine (I can’t speak for all writers) is just higher than most. And there is nothing wrong with that. Everyone is different and reacts to situations differently. For me, I find it important to listen to my body and speak to myself positively. I’m pleased to welcome Shanae Branham to my blog. Her novel, Disemblance, is currently on tour with Reading Addiction Virtual Book Tours. I am a professional writer with a bachelor’s degree in creative writing and a minor in grammar. I have also attended several years of classes and workshops in screenplay writing at the Los Angeles Screenplay writer’s Expo. I love suspenseful, action-adventures and clean, young adult, romance stories. I was born and raised in a small town in Idaho. I am the second out of six children. When I was in my early 20’s my mother was killed by a drunk driver. This one incident drastically changed my life. I have always had a passion for reading and writing fiction. Owing to a life long struggle with Dyslexia, early teachers discouraged me from pursuing a career in writing. 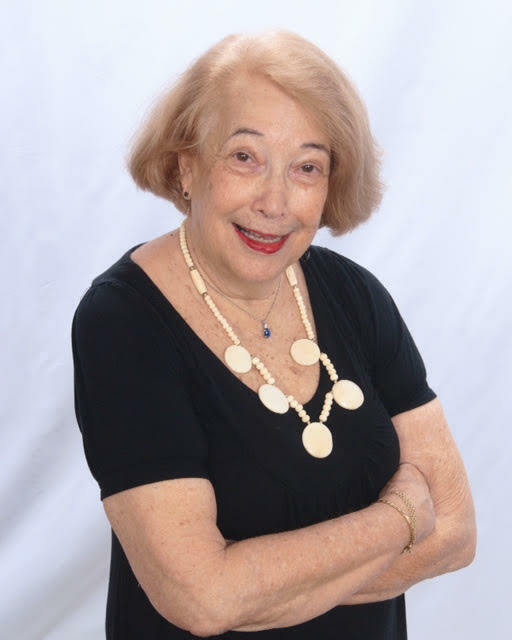 As I have spent over twenty-five years transforming my language disabilities into professional writing skills, God has honed my insatiable passion into an incredible vision. Jason Tanner lives between two worlds. Problem is, only one is real. Inside the hologram machine 17-year-old Jason has everything his heart desires, including a digital simulation of his dead mother. While outside the machine, he’s forbidden contact with everyone. Living within the shadow of a serial killer, Jason is captivated by the beautiful girl next door, Boston Manning. Disobeying his father, he secretly cultivates a relationship with her. For Boston life is divided into those that have and those that have not. Displaced in a new high school, she is determined to have the life she’s always wanted. But will her choices hijack her dreams and plunge her into the treacherous clutches of a serial killer? As an action-packed romantic thriller, DiSemblance is sure to keep you guessing until the very end. Boston steps through the hole she created in the alder brush onto a patch of grass between a straw-bale wall and the woods. “Who’s there?” a girl calls from a blanket a short distance off to our right. I shut off the flashlight and step through beside her, waiting for her instructions. Boston drops the machete and bolts back into the woods heading down the trail. I switch on the flashlight and shine it at the voices. The creep that attacked Boston last night and a pretty blonde girl are sitting together on a blanket spread out beside the straw-bale wall. The girl is frantically buttoning her shirt. Hard-edge squints against the light. He’s getting around well, with a cast on his leg. I pick up Boston’s machete and her backpack and trail her to the car, where she’s trembling in the driver’s seat. Confused by the sudden change of plan, I throw her stuff in the backseat, climb into the passenger side and wait for her to explain herself. She stares out the front window for the longest time. Then she tosses her mask in the backseat and starts the engine. “I know.” But I don’t know. My heart is racing like I’m riding a fifty-foot wave. Switching the headlights on, she presses on the gas pedal and speeds down Daemon’s driveway. Nearing the back of the maze, she turns onto the grassy section and plows through the edge of the woods moving towards Ricky and Candice. Branches crack and break against the windshield and scrape the side of the car until she stops in front of her targets. Bursting from the vehicle with the machete in one hand and the mini recorder in the other . . . Welcome to today’s stop on the Blessed Are Those That Mourn Virtual Book Tour – Hosted by Reading Addiction Virtual Book Tours. 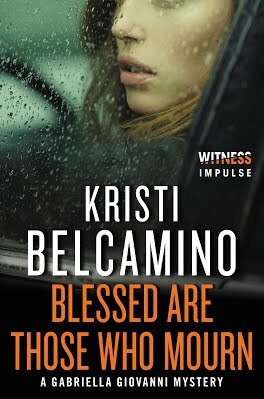 Without further ado, let me introduce author, Kristi Belcamino. I’m a newspaper reporter, crime fiction writer and Italian mama who bakes a tasty biscotti! I must have caffeine – usually a double espresso when I sit down to write. Other than that, I need a spot for my laptop and I’m good to go. How important are names to you in your books? Do you choose the names based on their meaning or because you like how it sounds? What other things do you consider when naming your characters? Names are very important to me. Before my first Gabriella Giovanni book was published, I was devastated to get a cease and desist order from a handbag company that was named Gabriella Giovanni! Luckily, the company’s claim (or concern) that it’s customers might be confused by the same name wasn’t a valid argument. Hard to mix up a fictional character with a handbag, right? Thinking about your latest novel: If one of the supporting characters could step off the page and join you for lunch, which would you choose and why? Chris Lopez. He’s the most badass newspaper photographer who ever lived! I love the guy! I love throwing small intimate dinner parties. If I have to attend a party, I am the one off in the corner having a deep conversation with one other person. Dinner and movie. I got all the hiking/camping out of my system as a kid growing up in Northern California. Everyone dreams but not everyone remembers their dreams. Do you remember your dreams and have they ever inspired a story or a scene in a story? I remember my dreams, but they haven’t inspired a story. However, I have woken in the middle of the night with a breakthrough idea for my current novel. It’s why I keep a pen and paper on my nightstand. Her family was her everything. San Francisco Bay Area reporter Gabriella Giovanni has finally got it all together: a devoted and loving boyfriend, Detective Sean Donovan; a beautiful little girl with him; and her dream job as the cops’ reporter for the Bay Herald. But her success has been hard-won and has left her with debilitating paranoia. When a string of young co-eds starts to show up dead with suspicious Biblical verses left on their bodies—the same verses that the man she suspects kidnapped and murdered her sister twenty years ago had sent to her—she begins to question if the killer is trying to send her a message. Caviar Living is a hand guide of home-spun lessons from a life well lived. Marilyn Whelan shares her wisdom from how to connect with your community to how to play your mortgage like a game. How to keep a clutter-free house – and why! 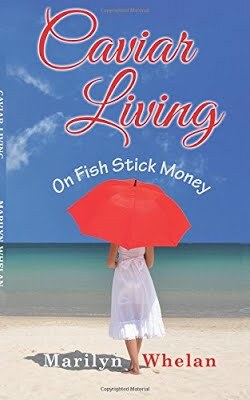 Part budget guide, part spiritual manual, and a whole lotta charm, Caviar Living is a lifetime of lessons wrapped up in this 98-pages of fun. Marilyn Whelan has worked as a reporter, a district supervisor in a first time youthful offenders program, and President of Shoppers Critique International. Her want is to die with something remaining on her bucket list, because when something is crossed off, something else is added. Marilyn currently lives in Clearwater, Florida, where she is Granny to seven, and Great Granny to three. She loves to travel and plays Mah Jongg twice a week. many different types of getaways. I still keep up with good friends we made there. fresh out of college and retirees. that helps Spanish executives perfect their English. England, Ireland, Wales and South Africa. the Portugal border. The resort was beautiful.